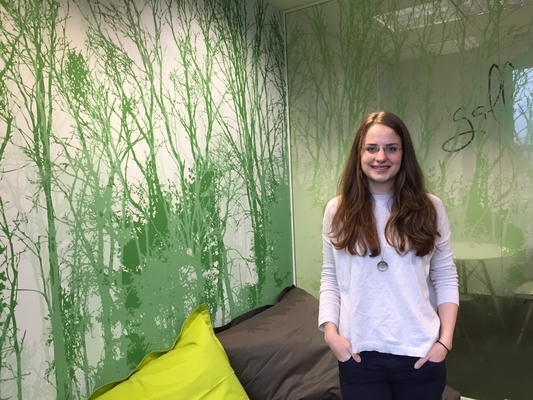 Meet our Marketing Executive Aleksandra, one of our four-strong marketing team. She’s an email and HTML whizz, a super blogger, and has been with ClearScore since March 2015, so she’s a credit score expert. In this blog we get to know her a bit better. I’m Aleksandra, the Marketing Executive and I do …marketing. My role varies quite a lot as our marketing department only has 4 people at the moment. Up until recently I was writing the blog, but now I’m focusing on putting email campaigns in place and supporting my manager Anna by working with our agencies, which can be anything from content creation to getting our advert on TV. What’s your favourite thing about marketing ClearScore? It’s a product that can be very helpful for many people and can have a positive impact on how they look after their finances. This is at the centre of our marketing – I guess it’s the ‘people’ aspect that I enjoy. We always respect our customers’ time and make sure that we deliver quality in all aspects of marketing. I’m currently working on a project which aims to get more students and young people thinking about credit scoring. I wrote the piece that will go in the Student Money Matters magazine and should hopefully encourage people to think a bit more about their finances. I’m proud of this because it has the potential to prevent some students from making avoidable credit mistakes. What marketing trend do you think we should watch out for in 2016? I think the thing to watch out for this year will be the continued growth of the digital space for branding – but most importantly it’ll be about negotiating what that space actually means for each business. I think most companies now realise that they should have some form of online presence, but the continuing trend from last year will be building a community which supports your brand. I grew up in two places. I lived in Lodz, Poland until I was 12. Yes – it’s quite a big city, and yes – it’s close to Warsaw. And I guess it looks a bit like Manchester because of all the old red brick factory buildings. And then I moved in Swansea, Wales, which has amazing beaches and hills, very different from landlocked Lodz. What is your favourite book and what are you reading at the moment? I don’t generally do favourites, but the amazing (and underrated) book that I always go back to is Austen’s Mansfield Park. At the moment I’m reading Thomas Mann’s short story ‘Death in Venice’. I would have to pick the Victoria and Albert Museum every time – I’ve been going there for the past 4 years and the permanent exhibition never gets old! There’s just so much to see and take in about other and older cultures. Oscar Wilde from Importance of Being Earnest: ‘I never travel without my diary. One should always have something sensational to read in the train’. It cracks me up every time, though I can’t say I live by this motto.